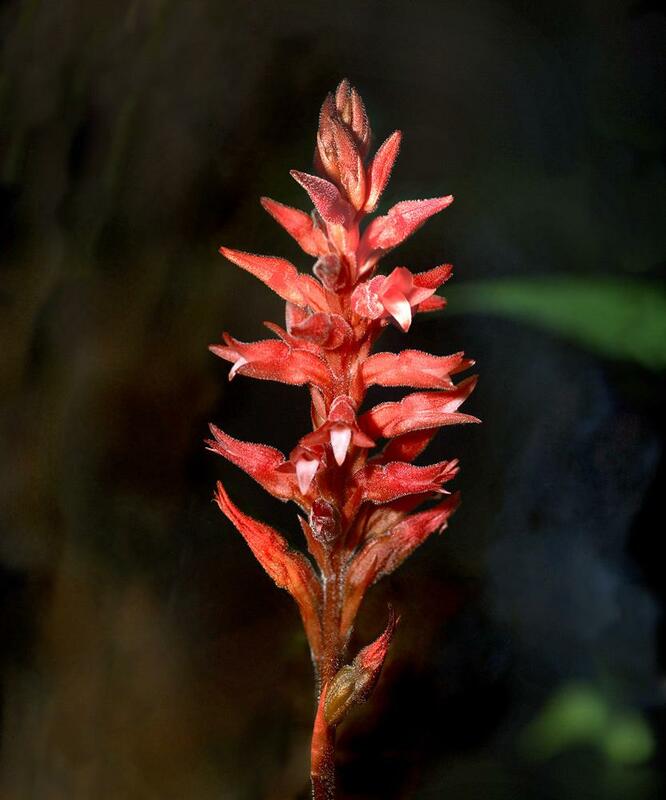 Sacoila lanceolata, commonly known as the Leafless Beaked Orchid, is one of the most striking orchids native to Florida and is widely distributed throughout Central and South America. 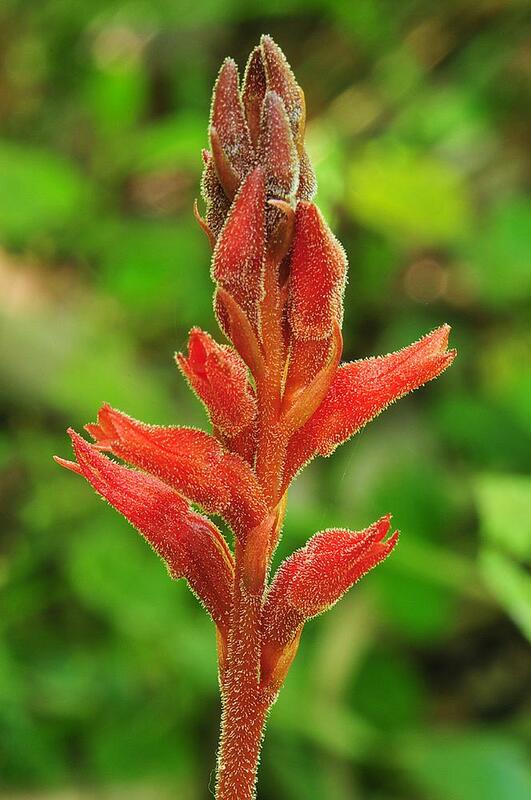 The terminal raceme usually has 10-40 coral to brick red flowers covered with fine hairs. 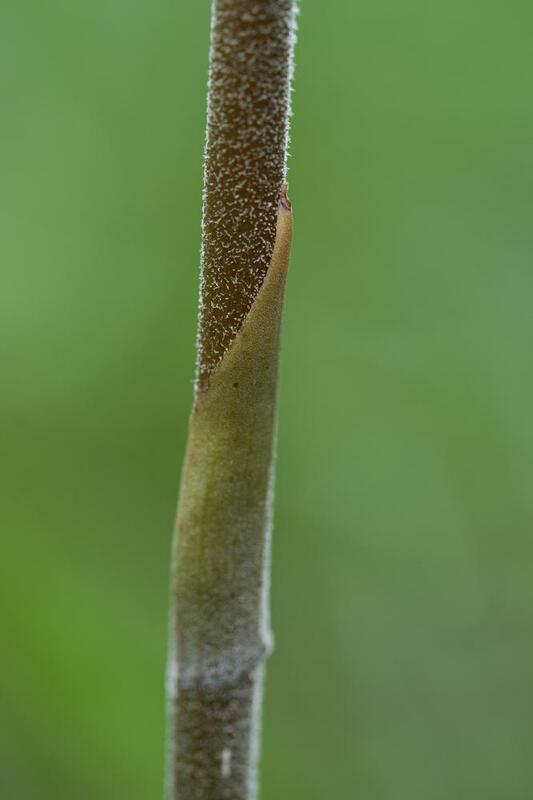 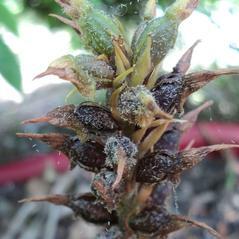 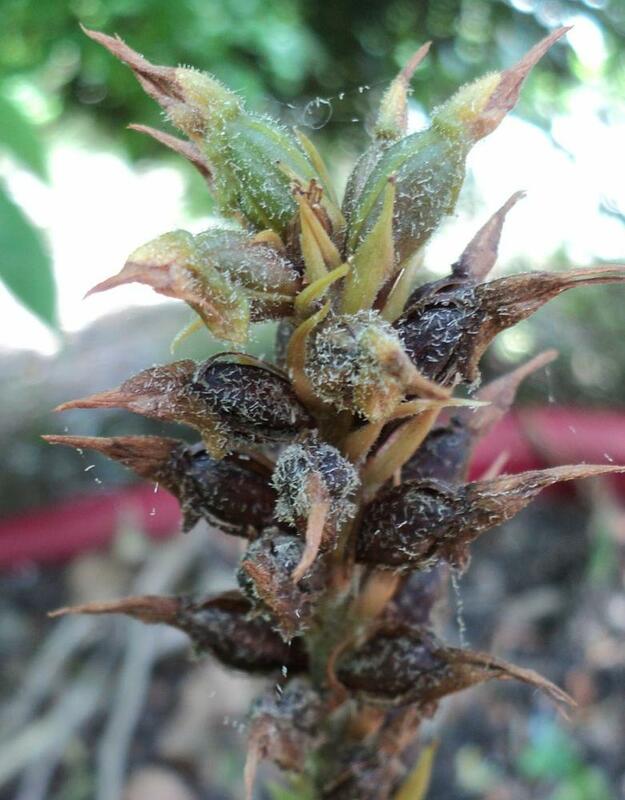 Some plants may be green-flowered and have been recognized as forma albidaviridis. 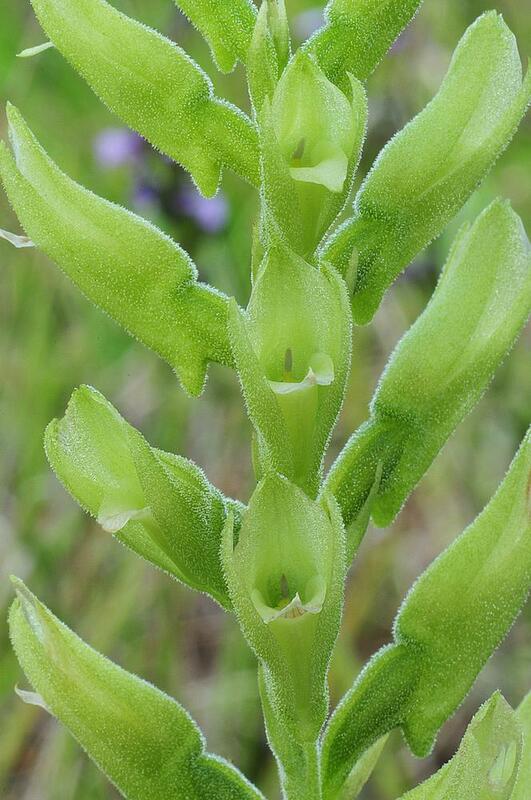 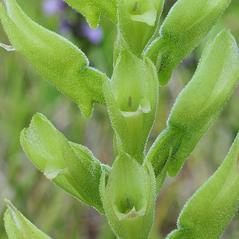 This orchid can be found growing in sandy or organic substrates along highway shoulders, pastures and poorly drained pine flatlands. 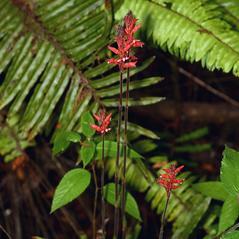 Sacoila lanceolata is apparently secure based on populations in the neo-tropics. 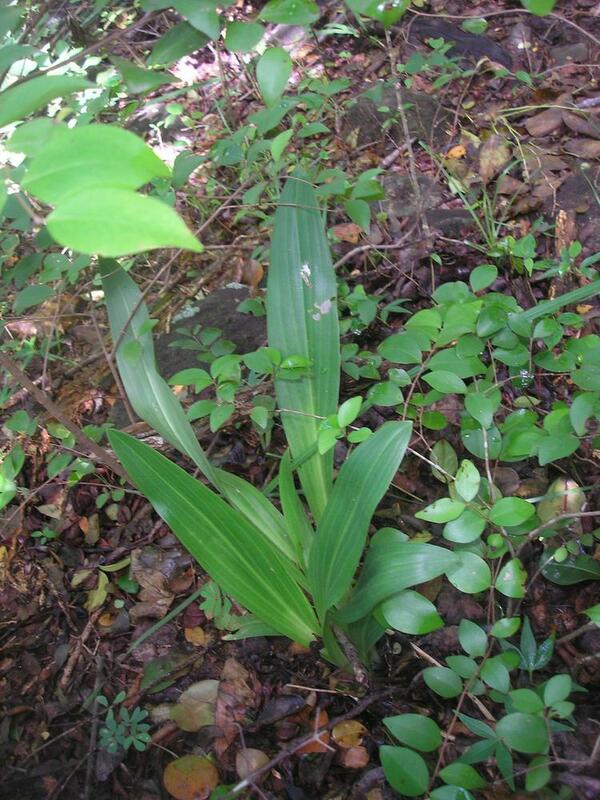 However S. lanceolata var. 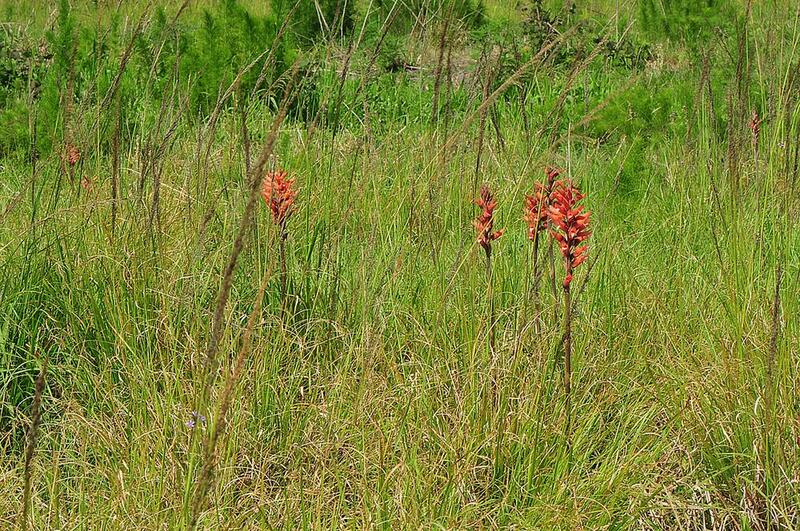 paludicola is considered critically imperiled in Florida where it is threatened by illegal collection and manipulations of water levels. 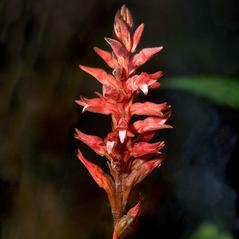 The red flowers of this orchid are pollinated by hummingbirds in search of nectar. 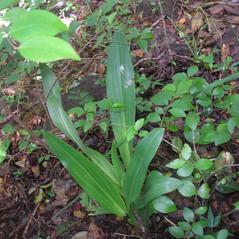 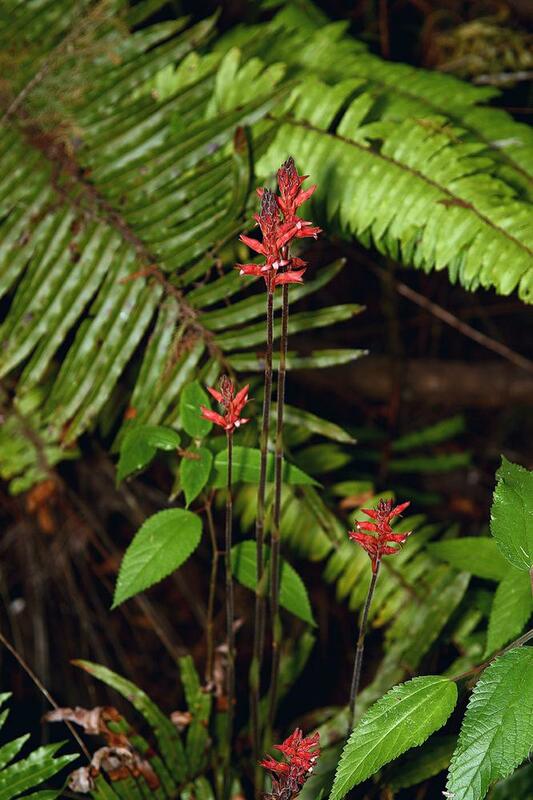 In Florida, two varieties of Sacoila lanceolata have been recognized. 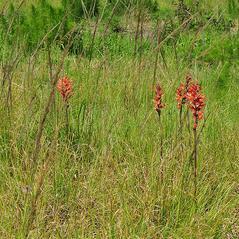 S. lanceolata var. 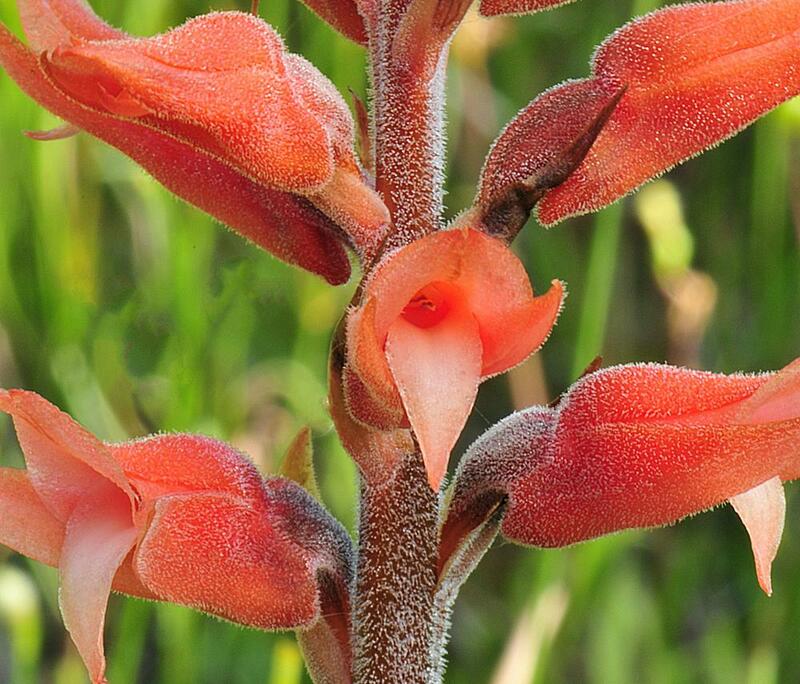 lanceolata, the common variety, has flowers with larger sepals and the leaves are usually absent at flowering, mid March to early July. 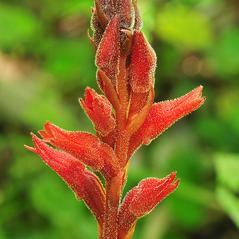 S. lanceolata var. 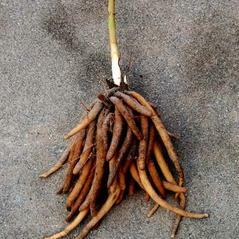 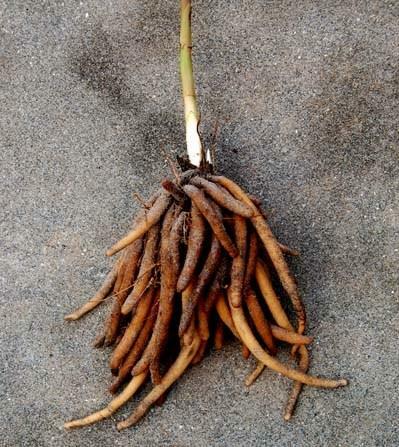 paludicola has a restricted range and habitat, and is known only from the Fakahatchee Strand State Preserve in Florida where it grows in humus on logs. 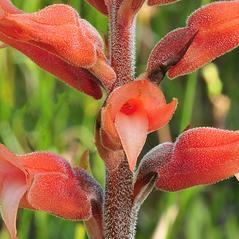 These plants begin to flower in January, earlier than the typical variety. 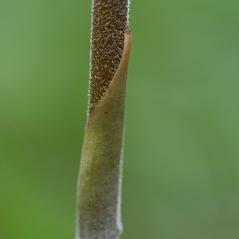 The flowers have sepals that are much smaller than the typical variety, and leaves are usually present during the flowering period.